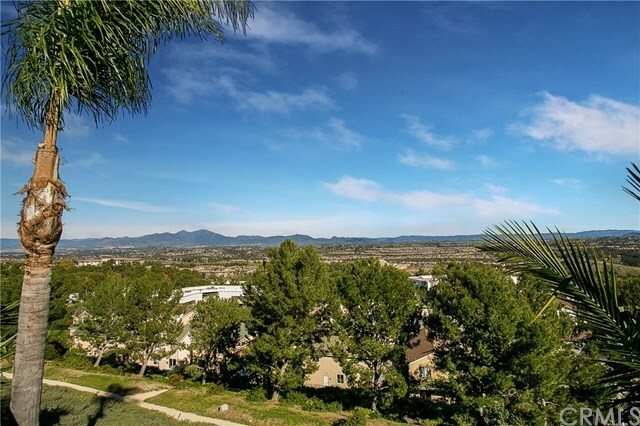 Welcome to the highly desirable view community of California Summit in Aliso Viejo. The AMAZING view from this home is the very first thing you notice upon entrance. This home features an upstairs main floor living area complete with an open & airy living room, dining room, and charming kitchen (with walk-in pantry!). Sliding glass doors open out onto a wooden deck that runs the width of the house and extends the living space directly into the outdoors where you can enjoy incredible mountain and city views throughout the day and night. The master suite is directly off the large great room upstairs and features a beautiful master bath and walk-in closet. Downstairs are two quiet bedrooms and a shared full bath and a family room that opens out into the backyard. This home is move in ready! Walking distance to Canyon Vista Elementary and Don Juan Avila Middle schools, near hiking and biking trails, Soka University and Town Center, and just a few miles from world-famous beaches. Low HOA dues and no Mello-Roos! Directions: Wood Canyon to Laurelwood to Cameo.